Mix the barley flour, oat meal, and rye meal. Add flour and salt. Mix the soda and buttermilk (start with the 2 1/2 C) and then add to the dry mixture. Stir in honey. Turn out onto floured board and mix (as with all breads, don’t over-mix), adding more buttermilk if too dry, or more flour if too sticky). Divide dough in half, and roll each, on a floured board, into an 8″ circle (about 1/2 inch to 3/4 inch thick). While heating a lightly greased skillet, mix the eggs, cream, and melted butter. 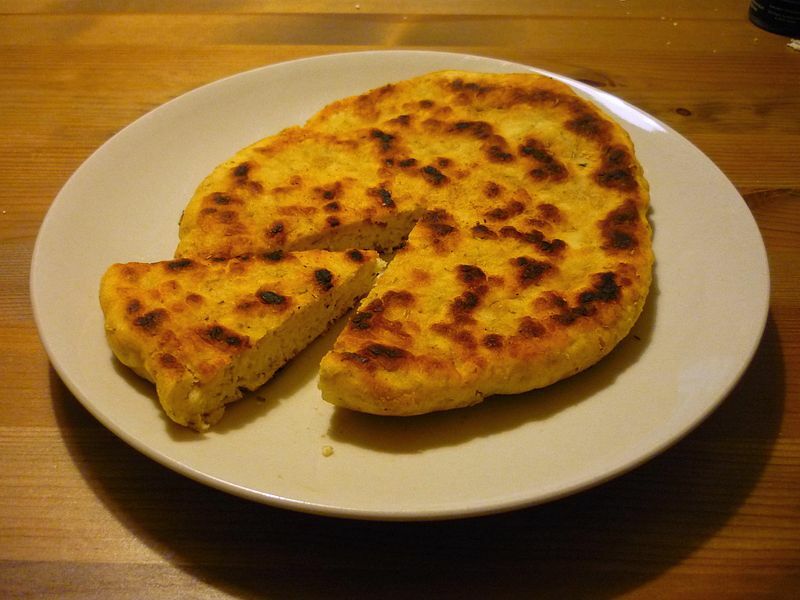 Spread onto one of the bannocks and place the bannock, egg-side down, in the skillet and cook until the egg-side is browned. Put the egg mixture on the top side, flip the bannock and cook ’til the second side is golden. Repeat this application of the egg wash and flipping and cooking until each side has been cooked three times. Do the same with the second bannock. Serve warm with butter and honey.